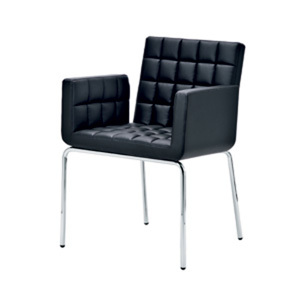 Armchair with round tubular base in black lacquer, or polished chrome finish. Seat upholstered with fabric or leather. Polished chrome frame - $30. Minimum quantity of 8 for COM/COL projects.